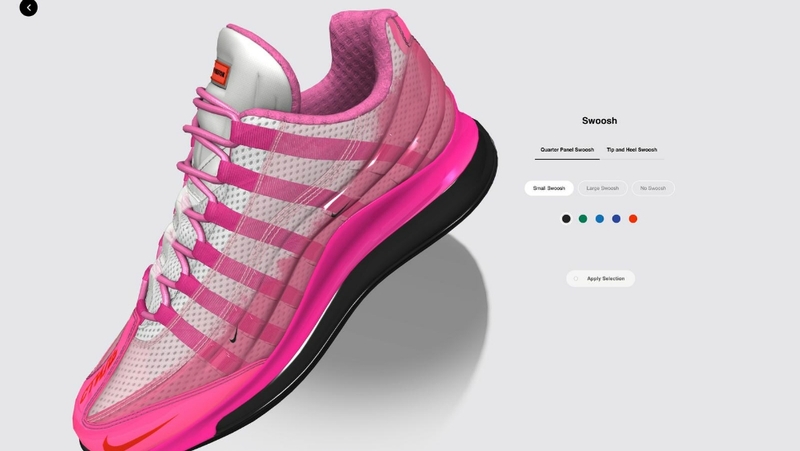 A full 3D display allows users to customize areas of a shoe with a simple click. 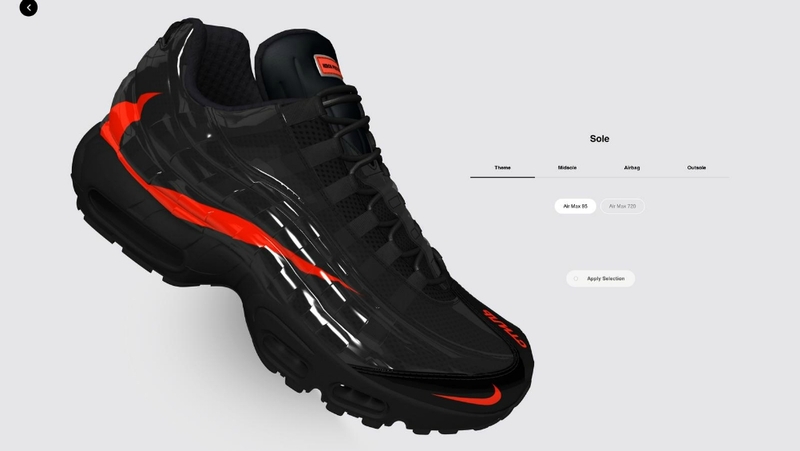 “Nike By You” also allows users to customize and place its iconic swoosh. 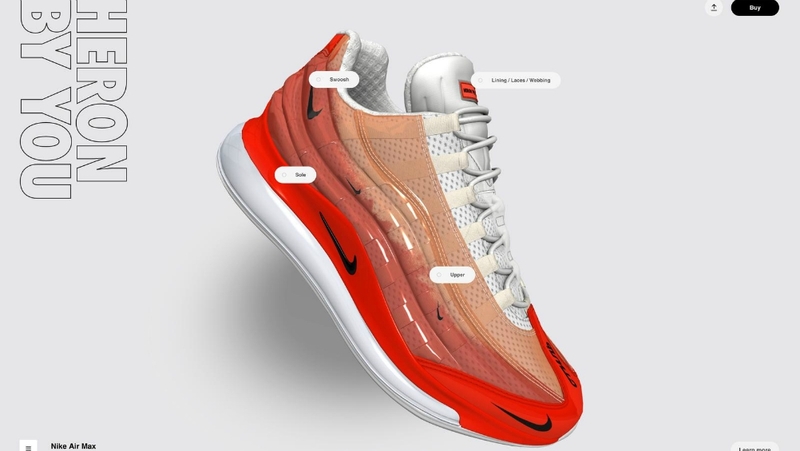 The platform’s exclusive sneaker silhouette lets users mix-and-match the features of the Air Max 720 with the Air Max 95 to create their own styles. 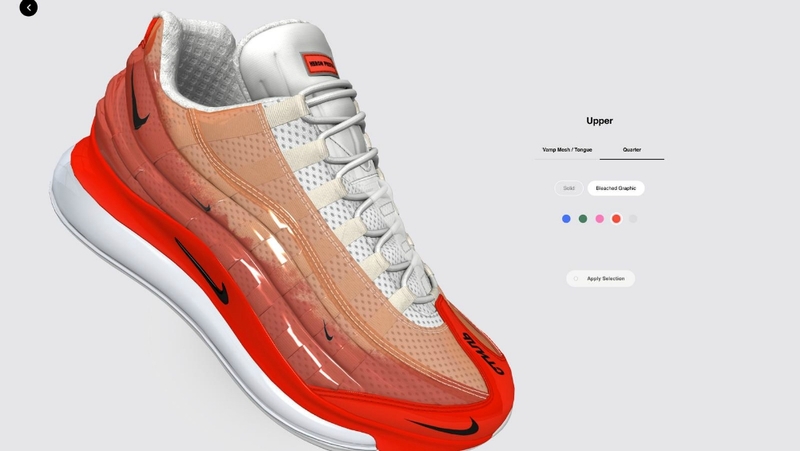 Users can customize different areas of the upper, leading to potentially wacky combinations.